^ Comins-Richmond, Walter. 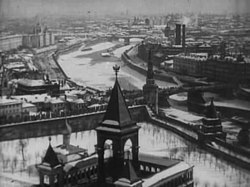 The History of Moscow. Occidental College. [2006-07-03]. ^ Holidays and significant dates of Moscow. Moscow City Government. [2010-09-29]. （原始内容存档于2011-08-23）. ^ 5.0 5.1 The Moscow City Mayor. Government of Moscow. [2010-03-18]. （原始内容存档于2011-08-23）. ^ The Moscow Statute. Moscow City Duma. Moscow City Government. 1995-06-28 [2010-09-29]. （原始内容存档于2011-08-23）. The supreme and exclusive legislative (representative) body of the state power in Moscow is the Moscow City Duma. ^ 莫斯科近10年首次由民众直选市长 索比亚宁当选. 国际在线. 2013-09-09.